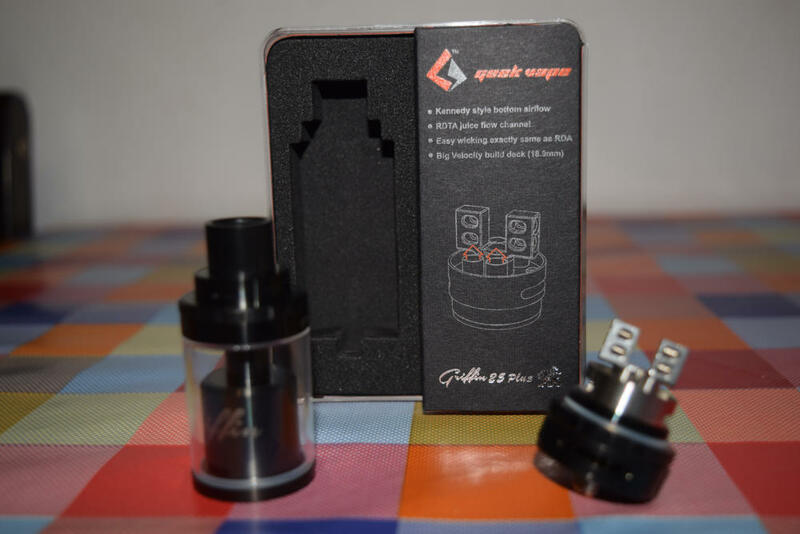 Following the success of the Griffin 25, the guys at Geek Vape have come out with an improved version of their popular RTA – the Griffin 25 Plus. You may not notice any difference looking at the two versions, but that’s only because the biggest changes were made on the build deck of this atomizer. In this review, we’ll try to figure out if the Plus is actually better than the awesome Griffin 25, and if it’s worth upgrading to the new iteration. 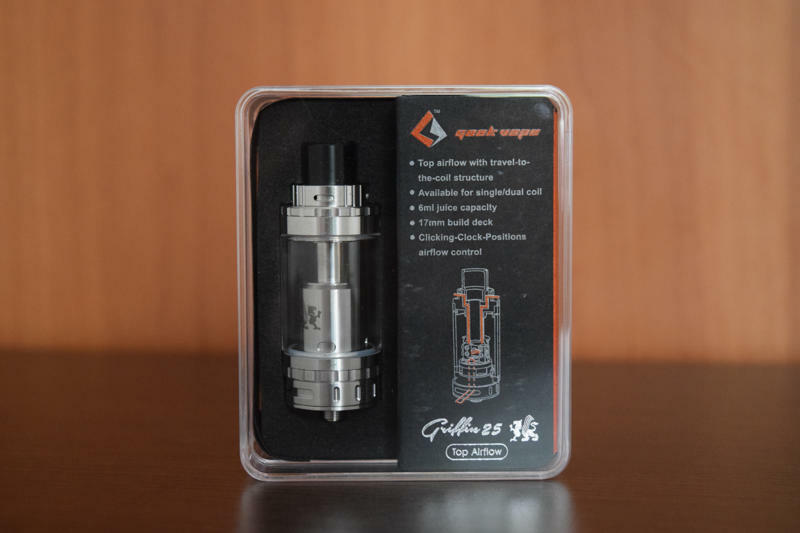 Just like the atomizer itself, the packaging of the GeekVape 25 Plus is identical to that of the old Griffin 25, the only difference being the addition of the “Plus” to the name. Inside the clear plastic box we have the assembled RTA, and in the hidden compartment next to it you can find a spare Pyrex tube, a spare Delrin top cap, a ceramic adapter for single-coil vaping, a bag of spare o-rings and screws, and a Geek Vape mini-screwdriver. It’s basically the same offering as the Griffin 25, with the addition of that extra top cap, which allows you to switch out the top-airflow cap of the atomizer with a basic one. This is actually a pretty big improvement, because for the previous version of the Griffin 25, you had to buy the top-airflow and basic models separately. Now you get them both in the same package. All you have to do is switch top caps. As I mentioned in the introduction of this review, the Plus is virtually identical to the original Griffin 25. They are the same size and diameter, they both hold 5 ml of e-liquid and the principle by which they function is the same. In fact, the only noticeable difference I can spot when looking at the two tanks side by side, is the size and shape of the juice flow control slots. The older version had four smaller slots, while the Griffin 25 Plus has just two, but they are massive. However, they also work the same way – by holding the glass portion and turning it clockwise to open and close the slots. However, on closer inspection, I managed to spot a couple of other minor differences between the two versions of the Griffin 25 – the airflow slots, both on the bottom and on the top, now click into place when adjusting them, and have stoppers on both sides. Also, the stainless steel cover of the build deck is somewhat larger this time around. But while the small changes mentioned above hardly justify a 2.0 version of the Griffin 25 tank, the build deck actually features major improvements. First of all, at 18.9mm in diameter, it’s considerably larger than the deck of the original Griffin 25, offering more space to work with. It’s the same two-post Velocity style design, but this one has much beefier posts that sort of float above the deck. The post holes are simply massive (3mm x 2mm) compared to the first version, allowing you to use virtually any type of fancy wire you want. On each side of the deck we have two Kennedy-style airflow slots positioned right underneath the coils to provide maximum flavor. The feature that I personally found most intriguing about the new Geek Vape Griffin 25 Plus was the wicking system. Instead of the classic wick slots of the original version, the Chinese company opted for a completely new design that really didn’t seem very well thought out, at first glance. Basically, we have four small holes carved into the bottom of the deck, and instead of filling them with cotton, you just have to make sure that the leads are positioned directly over them to prevent too much e-liquid coming through the juice control slots underneath and flooding the atomization chamber. 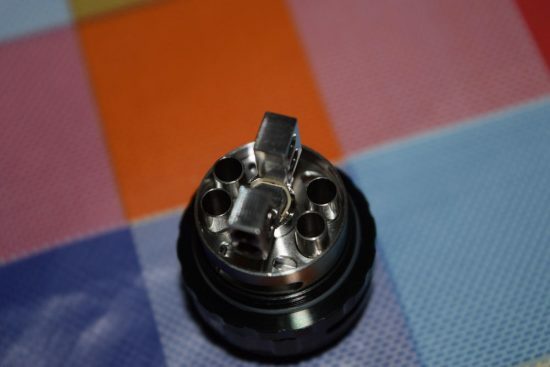 So instead of stuffing these holes with cotton, you have to tuck your leads directly over them, but because they are so small, I really didn’t think they would ensure efficient wicking, especially when chain vaping. Boy was I wrong! Somehow, this new system works like a charm. Not only have I never experienced any leaking or gurgling, but the cotton always stays saturated even after a series of five or six draws at high wattage (around 70W). I still haven’t been able to figure out how the juice makes its way through those tiny wicking holes, to be honest, but it does. 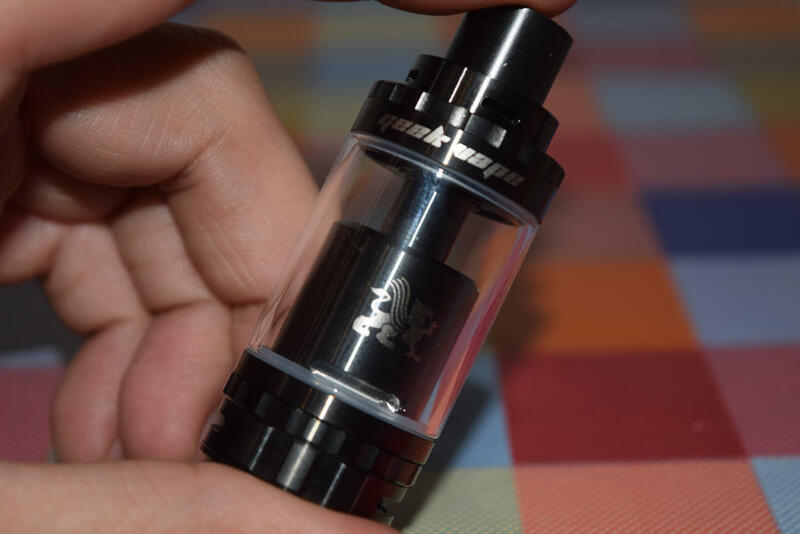 First I thought it must be the gigantic juice-flow slots that let in a lot of e-liquid, but the small wicking holes if the deck would still act as a bottleneck, so… I don’t know, but what’s important is that the Griffin 25 Plus wicks like a champ. After unscrewing both the bottom and the top of the Griffin 25 Plus and giving all the parts a good rinse, you’re ready to set it up for your first vape. The first thing you need to do is install the coils, which is a piece of cake on such a large and well-designed deck. You can use any type of wire you prefer, since those post holes will fit all the fancy wires available today, and the ample room on each side of the Velocity deck ensures that coils fit perfectly. Just make sure that you position your coils right above those Kennedy-style airflow slots, while ensuring that they don’t come into contact, to prevent a short circuit. As with any RTA, wicking is key to a pleasurable vaping experience. The trick is to use just enough cotton and tuck it in correctly. Too little, and the e-liquid from the tank will flood the chamber and leak through the airflow slots on the base, too much and it will make it harder for the juice to reach the coil and lead to dry hits. You’re probably not going to get it right on your first try, I hardly ever do. But what’s great about the three-piece design of the Griffin 25 and Griffin 25 Plus RTAs is that you can turn it upside down and remove the base without having to drain the e-liquid. This allows you to make any necessary modifications on the build deck. 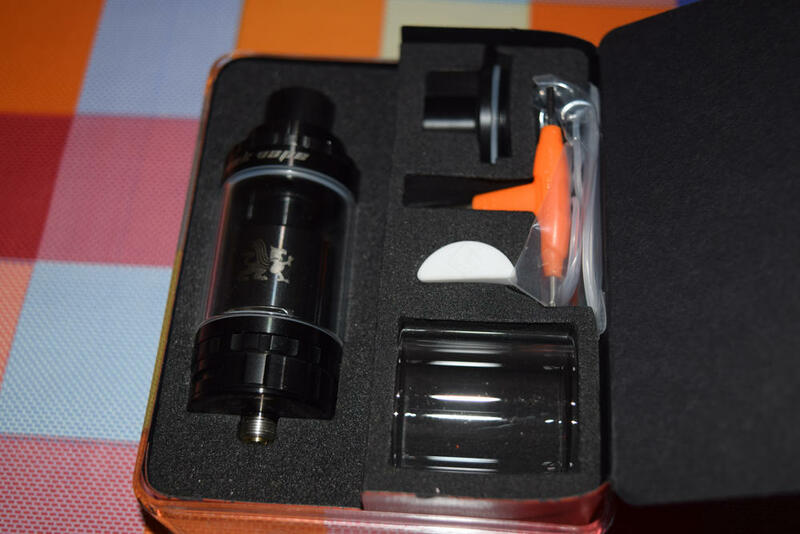 Once you’re done with the coils and wicking, put the tank back together and add juice. To do that, unscrew the top cop to reveal the two massive fill ports. They fit any size dropper or unicorn bottle, so filling it up is an easy mess-free affair. Then all you have to do is give it a good 15 minutes to wick properly and you’re good to go. Just make sure that the juice flow control slots are open while you vape, or you’ll experience some pretty nasty dry hits. 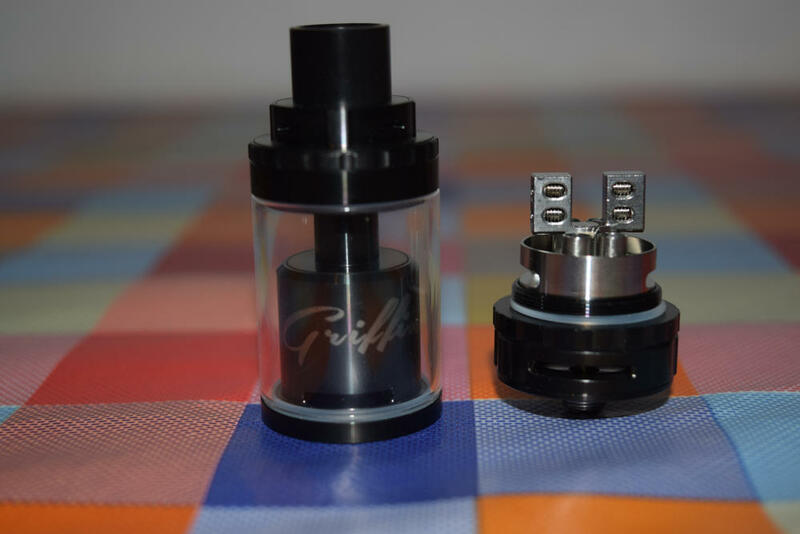 The thing I was most worried about was the new wicking system of the Geek Vape Griffin 25 Plus, but as I mentioned above, my worries were quickly put to rest the first time I used it. Other than that, I expected it to work about as well as the original Griffin 25. That was one of my favorite all time RTAs, and I was curious what they could have done to improve it. As far as the vaping experience goes, not very much. 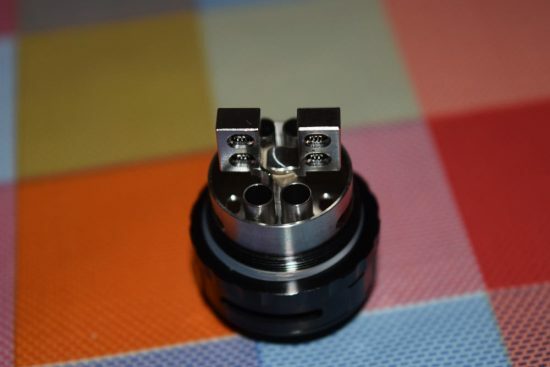 Other than the fact that the larger post holes and extra building space allow the use of fancy coils, and the new Kennedy vertical slots improve airflow to the heating elements, not much has changed. And that’s a good thing! The Griffin 25 Plus is a vapor monster, if you set it up right. It just chugs vapor, so if you’re willing to put up with the inevitably high juice consumption rate, you’re going to be very happy with it. Just keep in mind that you can go through 5 ml of e-liquid in less than an hour with this things, especially if you’re into chain vaping. The flavor intensity is about the same as on the original Griffin 25, although some reviewers seem to think the new Kennedy airflow system makes it just a bit better on the Plus. I really haven’t noticed a different, but then again the Griffin provided really good flavor, if you wicked it properly. 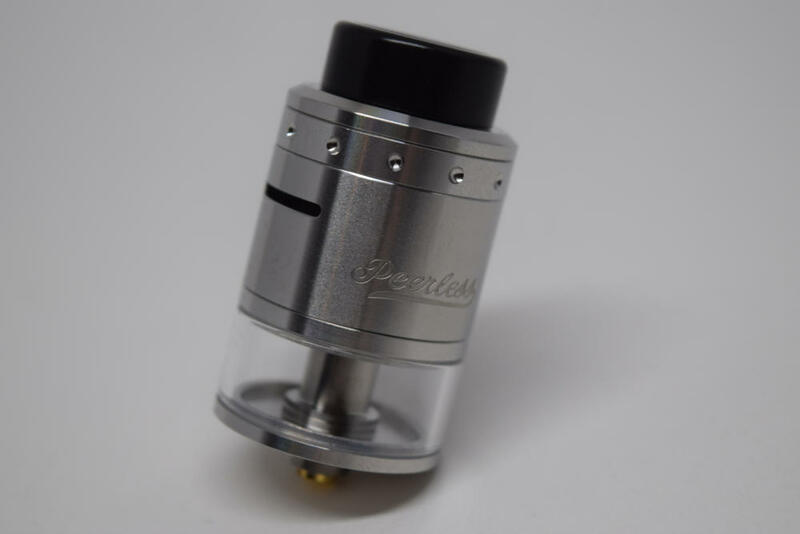 The included ceramic adapter allows you to seal one half of the build deck, so you can use the RTA in single coil mode, but I for one feel that this device was designed for dual-coil vaping. It’s great that you have this option, but if you prefer dense, hot vapor and lots of it, dual-coil is the way to go. Leaking is a big problem with most RTAs, but I for one have had no such issue in the two weeks I’ve used the Geek Vape Griffin 25 Plus. It can definitely occur if you mess up the wicking, but if you get it right, you should have no problems at all. 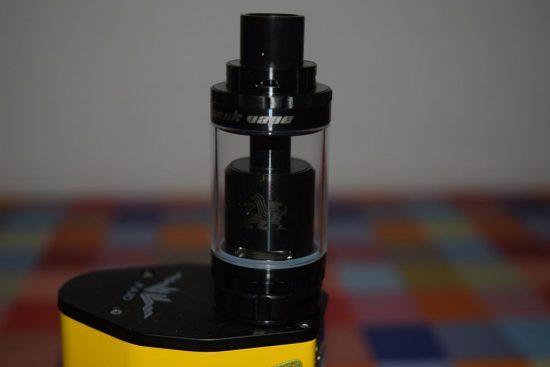 A bit of juice does find its way out of the tank through the seams sometimes, when you rotate it to adjust the juice flow control, but it’s only a fine layer that doesn’t drip down the atomizer and can easily be wiped off with a tissue. 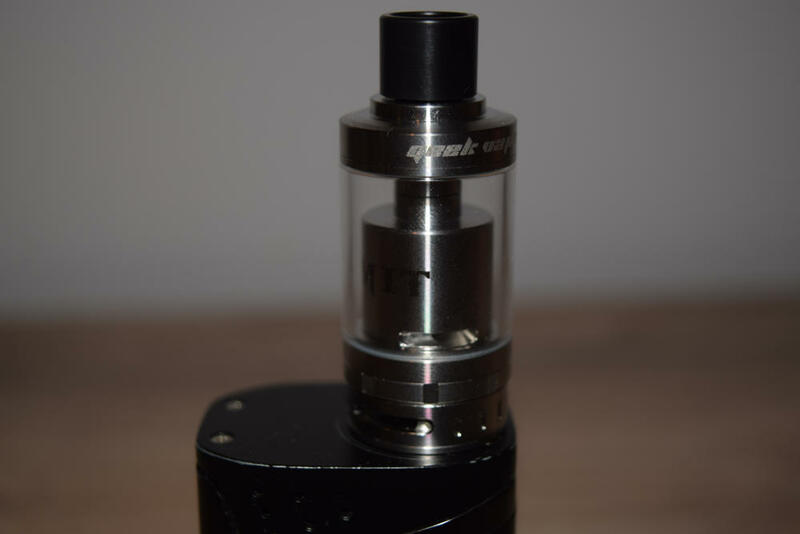 Overall, the Griffin 25 Plus is a great RTA! Is it better than the original Griffin 25? Well, I guess you can say it is, thanks primarily to the improved build deck design and the inclusion of the basic top cap, but when it comes to the vaping experience, I think they are very close. So if you already own the older version, I don’t really think upgrading to the Plus is justified, unless you’re a collector. If you’ve never owned a Griffin, definitely get this latest model, though. 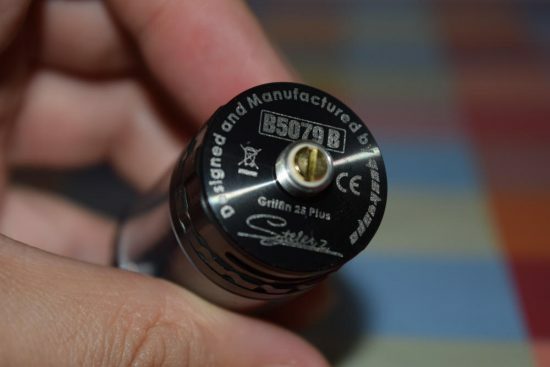 Price-wise, the Griffin 25 Plus is a bit more expensive than other good RTAs, like the OBS Engine, for example, but the excellent build quality and flawless performance definitely justify spending a few extra bucks on it. This device is currently priced at $39.99, but you can get a 15% discount using our exclusive discount code below. 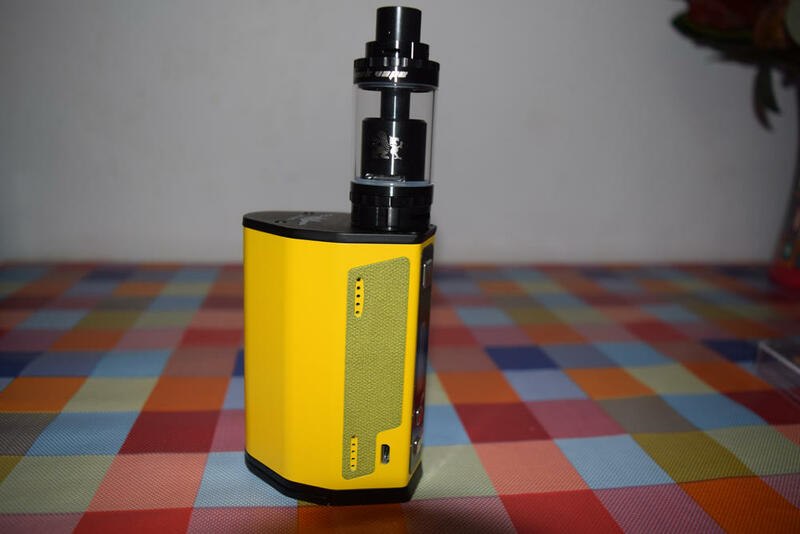 The Geek Vape Griffin 25 Plus was sent to us by our partners at Heaven Gifts for the purpose of this review. I am posting a comment on the page, not the tank. Please add the date on the texts. Immagine you were reviewing the first RTA ever made, you would write “best RTA ever” and if I read it 2 years later I would probably buy a worthless and outdated piece. Other than that I realy enjoy your reviews, keep up the good work. Their excuse was that it was because roo many companies counterfeited their products. Buy yourself a counterfeit Geekvape, at least you won’t be out a lot of money if you lose or break a part.